In Trinidad, there are two popular blended drinks - fig (banana) punch and peanut punch. My recipe calls for a blend between the two, with ripe bananas, creamy peanut butter and So Delicious Dairy Free Almond Milk with Vanilla. I added a sprinkle of ground nutmeg and allspice, two spices that are commonly used in the islands. 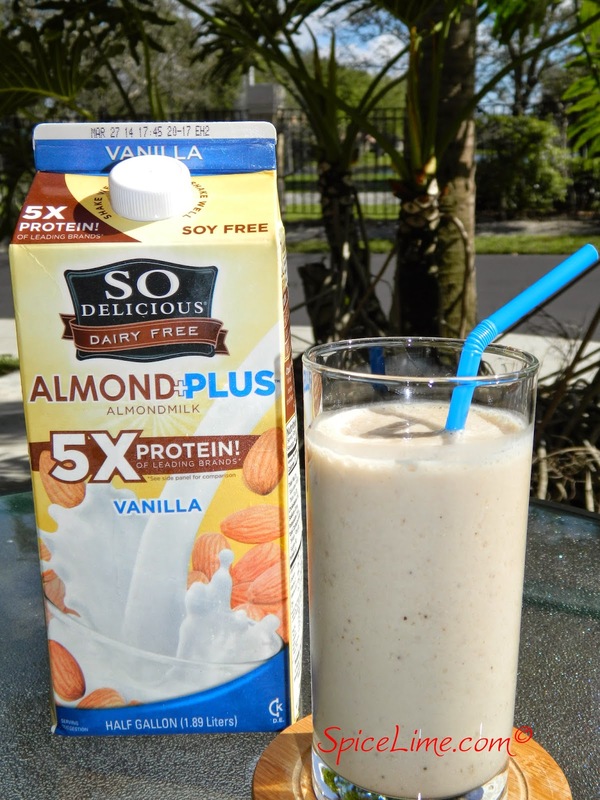 The vanilla in the almond milk adds another layer of flavor, and this milkshake is packed with protein. The hubby and I started our day off right and enjoyed it for breakfast. The best part, it only takes 5 minutes! 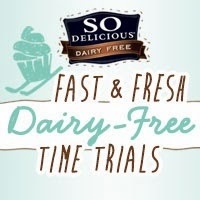 This is my entry into the So Delicious Dairy Free Fast & Fresh Time Trials, a cool new contest being hosted on Godairyfree.org. *Double-check that your peanut butter is dairy free by reading the label on the jar. 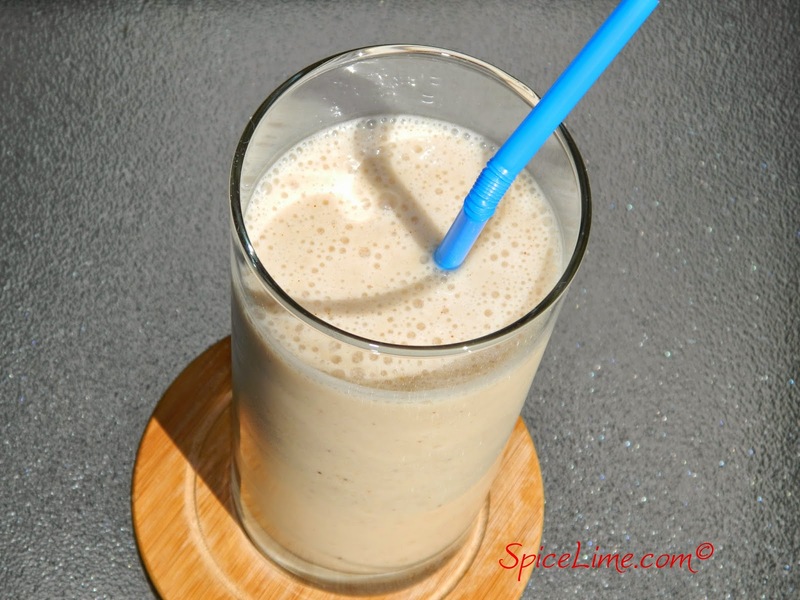 In a blender, combine almond milk, bananas, peanut butter, ice, nutmeg and allspice. Blend well. Serve with a straw.